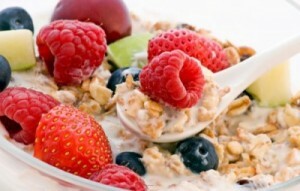 Enjoy Breakfast – don’t skip it! Our bodies are made up of 100 trillion cells these require 114 nutrients to work properly, nutrients are needed for energy and for repairing cells, so daytime our bodies work on fats, carbohydrates and protein, overnight our bodies work on nutrients to repair cells, so come morning will be running on empty. Not only is breakfast the most significant meal of the day, it also builds energy which plays a crucial part in weight loss. According to studies, those who lack sleep have more difficulty processing carbohydrates. Insulin and stress levels are very high and when you’re exhausted, you become inactive which piles up the fat. Make sure you have 6 to 8 hours of sleep every night. If you have a busy lifestyle, Formula 1 Nutritional Shake Mix is a perfect meal-replacement shake that’s easy to prepare and is very tasty all while providing you a healthy, nutritious meal and the vital nutrients you need for better health. Formula 1 shakes can be used as a healthy meal – or for weight loss as breakfast (instead of what’s in photo above) and for lunch. Protein helps build and sustain lean muscle so ensure you get enough of it. It increases your metabolism helping you to burn more calories. Consume 20 grams of protein in each meal – ideally a mix of animal and plant protein. Lean protein keeps you going for longer without feeling the need to snack. You need to exercise to burn fat, but you must keep your routines varied in order to build muscle, lose fat and burn more calories. This way, your body doesn’t get used to a specific routine and goes on autopilot. Do a combination of strength training, light weights and HIIT (high-intensity intervals) (e.g. 60 seconds sprint, 120 seconds walk, jump rope) with short rest periods. Do these 3 times a week. Other ideas: you could also include yoga, aerobics or a dance class. Or if pushed for time and to save gym membership – workout from home with the 24FIT program. Skipping starch is one way to lose weight fast. Limit your intake of refined carbohydrates and munch on whole grains, fruits and vegetables instead. Cut back on carbohydrates to lose weight – but don’t go without! 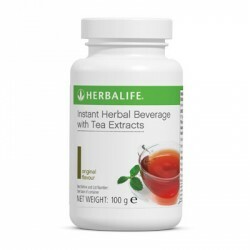 Drink Thermojetics Instant Herbal Beverage which is a delicious, low-calorie instant tea mix that increases energy and keeps you rejuvenated while you watch your weight. Water is also a very good metabolism booster. Increase your water intake to at least 2 litres per day, more if exercising. Avoid feeding your emotions. It’s very easy to mistake emotional hunger for physical hunger. Ask yourself, “Am I really hungry? Or I am just upset and have nothing to do?” If you’re really famished, eat something healthy such as a vegetable, protein or fruit snack. Don’t settle for any product, choose a brand that is trusted for helping with people’s health and weight. Herbalife combines high quality products with the best of science and nature. Herbalife employs Top Scientists and Doctors who work on developing innovative, effective products that comply with the highest research, development and manufacturing standards in the industry. Herbalife is the only Nutrition and Wellness company with a Nobel Prize Winning Doctor on it’s Nutrition Advisory Board. Herbalife weight loss programmes are easy to follow and get results!